How far off are real ‘superhero’ powers? 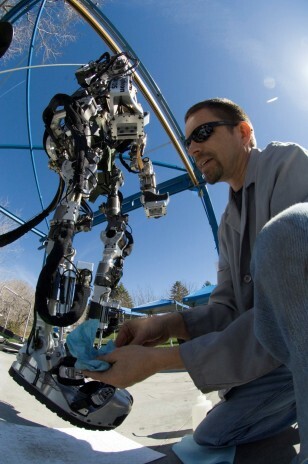 A Raytheon engineer readies the company's robot-like Exoskeleton for testing in this 2008 photo. When the exoskeleton is "worn," a user can easily carry a man on his back or lift 200 pounds several hundred times without tiring, according to Raytheon.